Larry Crider & 4 H.I.S. Glory – New Single "Don't Take Your Spirit"
New Single “Don’t Take Your Spirit“ Stream it and add it to your Spotify playlist Now! 4 H.I.S Glory (Honor In Song) is a ministry dedicated to uplifting the spirit of God and singing His praises to point listeners in the direction of salvation through Jesus Christ. This young and growing ministry with a fresh sound loves Christ and they love music. From various backgrounds and experiences, they bring all of their amazing gifts together to be a powerful force for the kingdom of God. The foundation of the music ministry started with the vision and anointing of Larry Crider II, A musician and composer with various skills in the field of music. Crider who was blessed with the gift of music at a very young age and gave his life over to God at 8 years old, has had the privileged to serve in many musical organizations throughout his life. 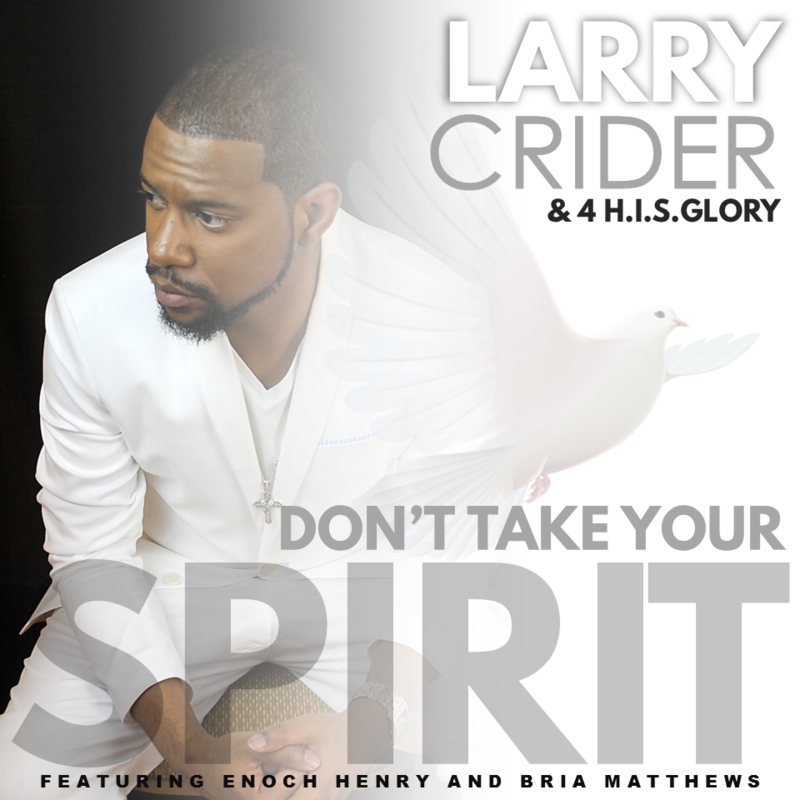 New Single “Don’t Take Your Spirit“ Available Now!